If you’re UP for a challenge, then you’ll gravitate towards our elevated ropes course. 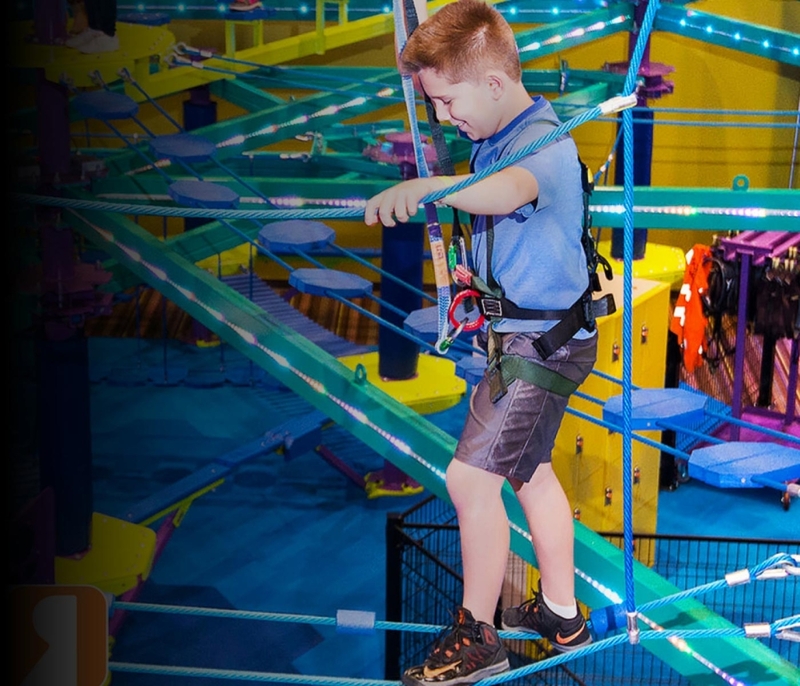 The Fun Lab Rope Course gives you a chance to navigate through twelve unique elements using physical, mental, and good old creative thinking skills. This rope course is so much more than an attraction. Our ropes course provides people of all ages the opportunity to learn about challenges, risks, and rewards-in a safe, exciting, and stimulating environment. It enhances the mastery of decision making, forms self-esteem, creates positive “risk-taking”, builds trust, and tests your sense of balance.